It still surprises me how many businesses have many of their staff constantly away from the office needing reliable Internet, and without realising it, the answers been in their pocket the whole time! I’m talking, of course, about the phenomenon of tethering. 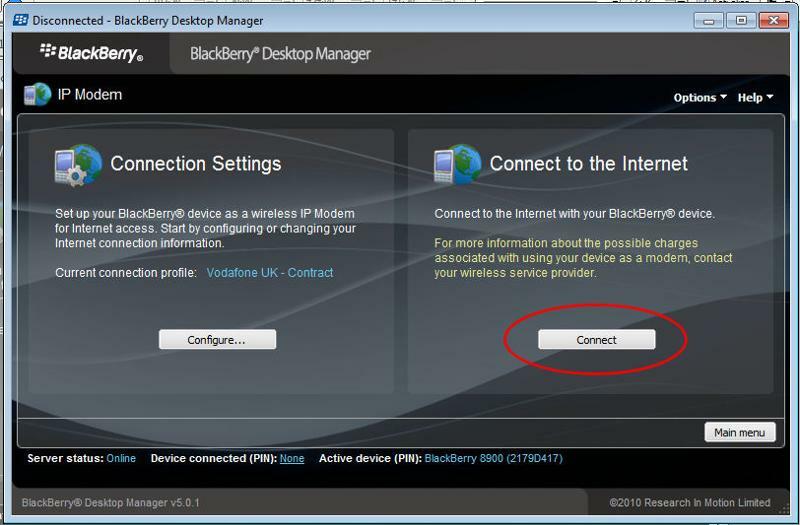 Did you know that the blackberry in your pocket can be connected to your laptop, and as long as you have signal, it can give you an Internet connection, pretty much wherever you are! 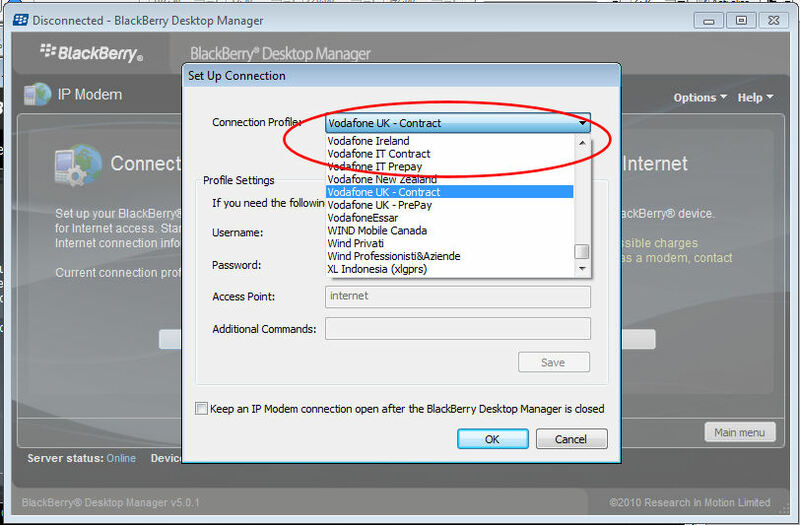 It’s as easy as 1,2,3 to setup, and it gives you so many more options than just your BlackBerry alone. Now, I hear you cry “What about the costs?” and “Are you serious? This will cost me a fortune!” -- which may have been true in the past but not so nowadays. Let’s use Vodafone UK as an example. 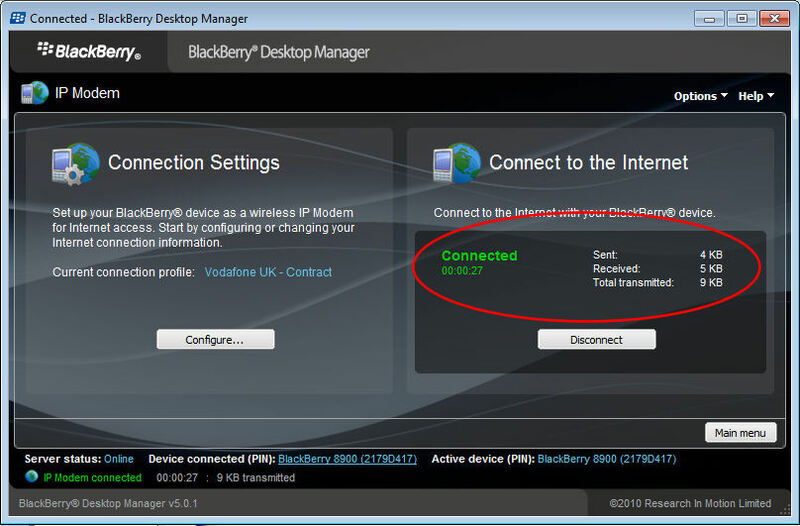 If you are on the standard BlackBerry BIS tariff, then you get unlimited Internet on your phone, which includes tethering. Now there is a fair usage policy of 500mb, but for occasionally writing and sending emails and checking the odd web page, you will be hard pushed to hit this (unless you are trying to stream movies and music on your BB!) and the big secret is, if you go over this 500mb, as it stands, they won’t charge you any extra; though you can expect a phone call though if you regularly go over the limit. I can see you’re interested now, but how do you do it? Well, it used to be a pain to setup which may be why so many people are not a fan of trying again, but now it couldn’t be easier. Simply download the latest BlackBerry desktop manager (BDM) from the BlackBerry site. 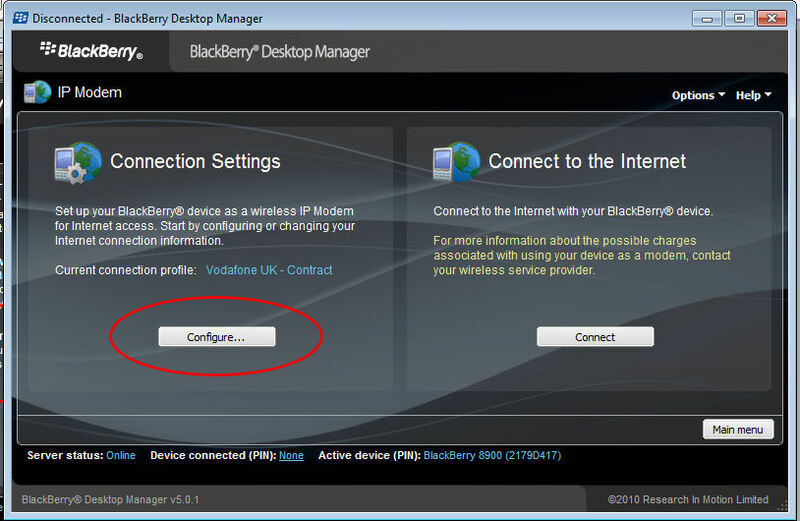 Install and connect your BlackBerry by USB cable (there’s one in the box you got with the phone, there is, trust me!) or use bluetooth if you have the option on your laptop, bear in mind though that data transfer rates are slow over bluetooth, so I always prefer to use the cable option. 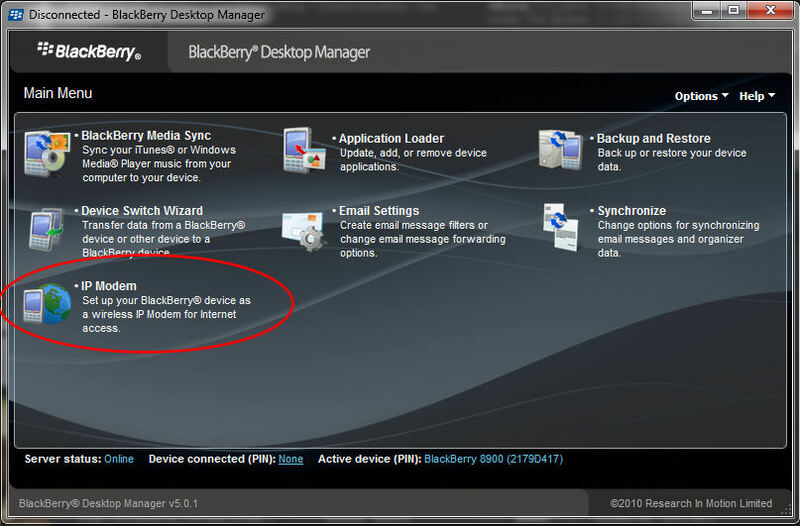 Open the BDM and let it do its thing and install the drivers for your phone. Click ‘configure’ and select your network, in my case its ‘Vodafone UK – Contract’. Then all you have to do is click connect and you’re away! There you have it, I told you it was easy! Why not head off and try it out and see how you get on!